This lovely crab cake sauce is a herby mayonnaise - you can use creme fraiche if you prefer. 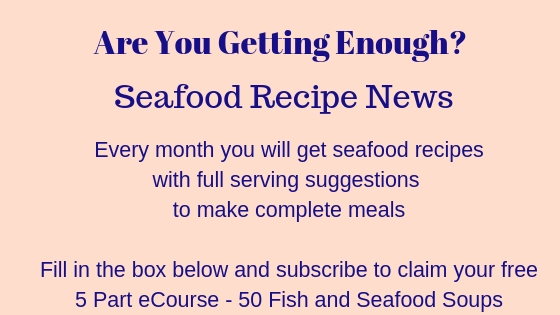 I like to use it as a dipping sauce - either with crab cakes, goujons or with a salmon steak and salad. 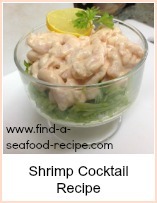 It's great as part of a buffet with crackers, crudités or potato chips. If you don't have a blender, then you can chop the herbs finely by hand and mix them into the mayonnaise or creme fraiche with a wooden spoon. It will make it a bit chunkier, that's the only difference. It doesn't matter which you use as the herbs just need to flavor the mayo which is why you need to let it rest for about 30 minutes. You could of course prepare it much earlier if you needed to. Dip the herbs into boiling water for about 10 seconds, then refresh (run under cold water). This just blanches them, it doesn't cook them. It's an important step though. Drain and put all the ingredients into a blender and process until the herbs are finely chopped. Tip it out into a bowl ready for using. I would prepare this in advance and allow it to rest in the fridge for about 30 minutes for the flavours to infuse. Some people like a spicy sauce with their crab cake. Try roasted red pepper - take a couple of peppers and a two cloves of garlic and bake them until soft. Rub off the skins then blitz them with olive oil, white wine vinegar and creme fraiche. You can buy ready prepared sauces, but I much prefer my home made ones. Most of them will keep refrigerated for a few days and they are all usable with other food, so it's not a case of only being of use one time. You could use it as part of a sandwich filling to spread on the bread before assembling. I often use mayonnaise instead of butter for sandwiches. 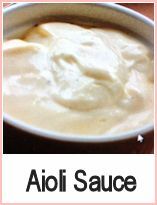 You don't have to confine this sauce to crab cake, any fish cake, steak or fillet is good. 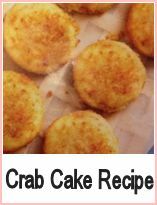 Very simple to make but tasty, crab cake sauce. 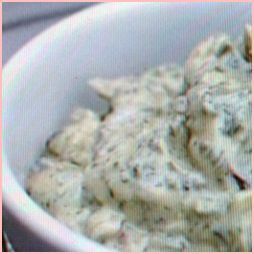 A herby mayonnaise dipping sauce that would be just right for a buffet or tv snacks with chips.